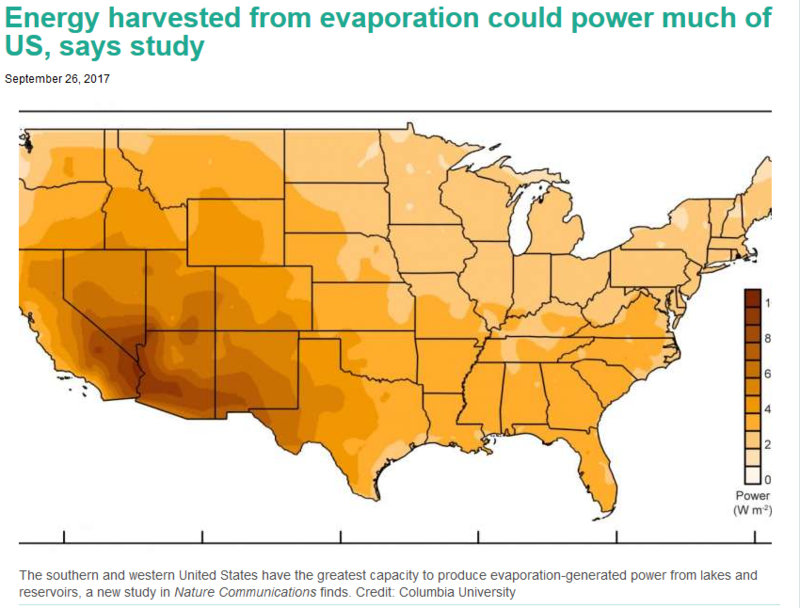 From Columbia U.’s Ahmet-Hamdi Cavusoglu, Xi Chen, Pierre Gentine & Ozgur Sahin comes the proposition to harvest energy from evaporation. 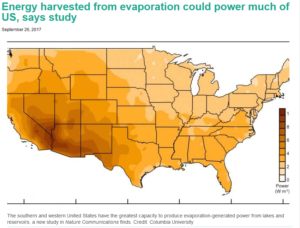 Could this bring “Hydrological Spreads” Financing to fruition? Direct link: Ahmet-Hamdi Cavusoglu, Xi Chen, Pierre Gentine & Ozgur Sahin, Potential for natural evaporation as a reliable renewable energy resource, Nature Communications 8, Article number: 617 (2017), doi:10.1038/s41467-017-00581-w, Published online 26 September 2017.